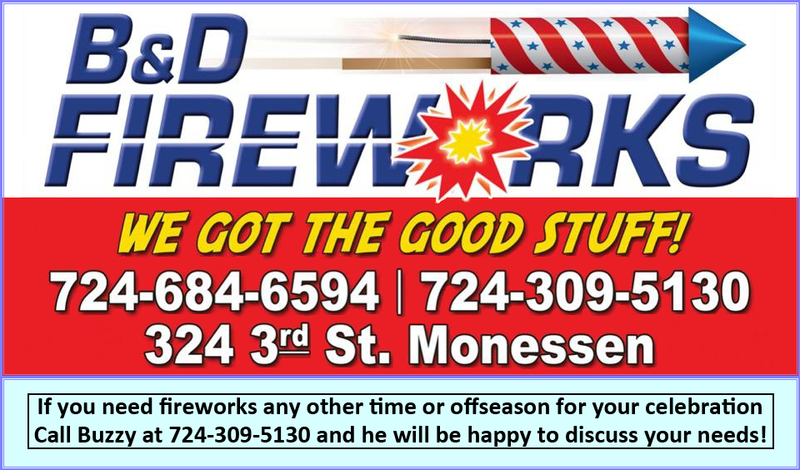 B and D Fireworks welcomes all fireworks enthusiasts to our showroom located in Monessen, Pennsylvania. We provide the finest fireworks products on the market today for all occasions. New Years, 4th of July, Birthdays, Weddings, Graduations, Parties, or any special event or opportunity. 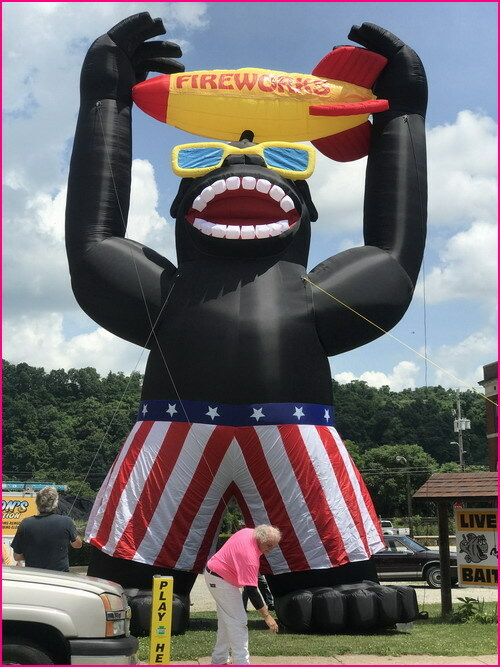 Visit B and D Fireworks Today! B & D Fireworks can also be contracted to Shoot Shows of any Size utilizing Class B Fireworks! Give us a call and we will be happy to answer any questions or concerns. To View Full Videos of our Past Shows, click on "VIDEO" on the Menu Bar.